Coco's sweetheart was kidnapped by the Great Squid King!? The brave little fish, Coco, has to venture into the open sea to save his lovely girlfriend in this new casual action adventure game! 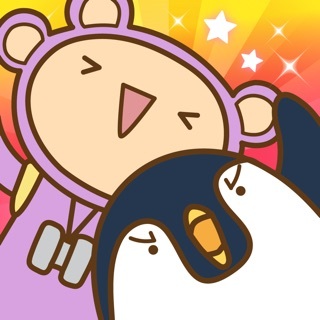 You can read Manga, "Coco Doko!?" from here! 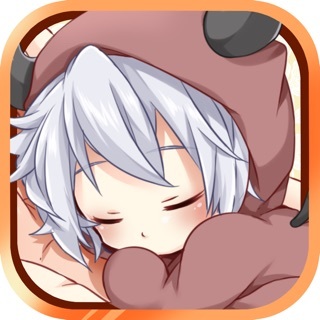 You can play this easy casual action game for free! Escape from the big fish! Try to eat the smaller fish to make Coco grow up and be able to eat the bigger fish. 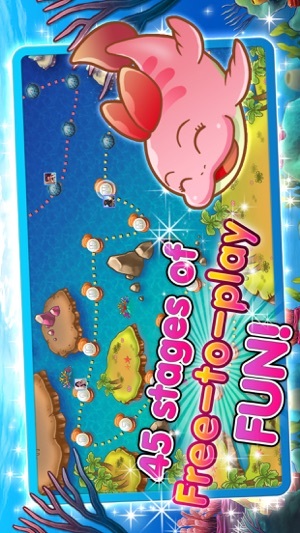 Clear the stage by growing into the biggest fish! Then keep challenging on to the next stages! It's a frenzy! Enjoy the sensation of nomming like a fish! Experience swimming in various fascinating ocean scenes! Do you like Feeding Frenzy or Hungry Shark Evolution? Then you should love Coco the Fish! ●The Wonderful Worlds of "Coco the Fish!" Just like an ancient aquarium!? 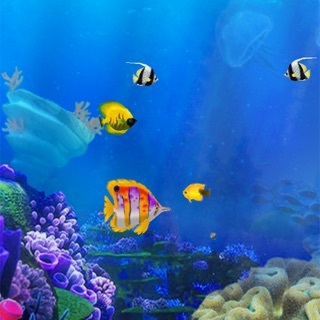 Plunge into many wonderful scenes of day and night ocean world! Feast your eyes upon these cute and interesting fish! ●The Story of "Coco the Fish!" Coco, the brave little fish, ventures forth into great perils to rescue his lovely girlfriend who was kidnapped by the Great Squid King. Many big fish are waiting to eat him on his journey. Be careful, not to be eaten! 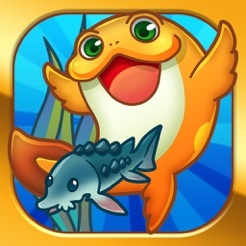 Enjoy eating fish in a frenzy in this hero's journey of Coco the Fish! 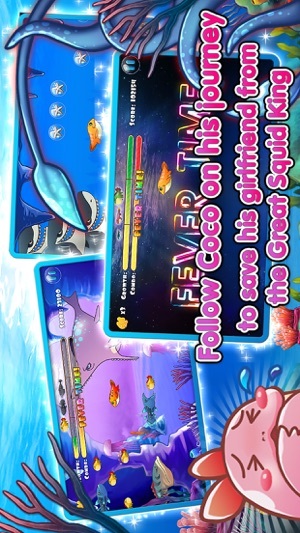 ●Play "Coco the Fish!" with friends for more fun! You can send requests and hearts as a present to friends when logged into Facebook! Coco can change into cool new evolutions when you pass through the "Shell of Evolution" after every 15 stages! Many new items will also appear! 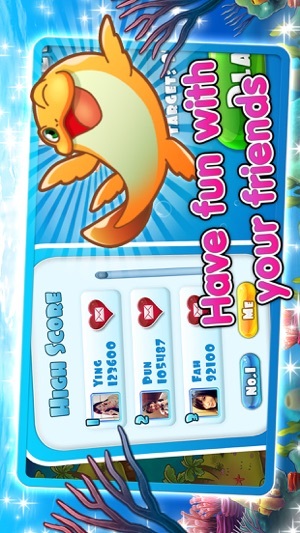 ● Compete in "Coco the Fish!" with social friends! See what stages your Facebook friends are on in the map! Challenge to beat other friends who have reached farther stages! Race to the end! 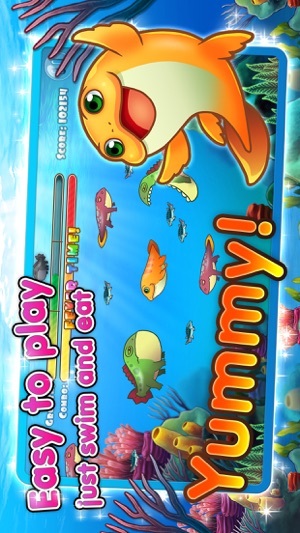 ●Strategic play of "Coco the Fish!" Think more about the strategy while playing. Which fish should you eat first? How can you keep your combo? 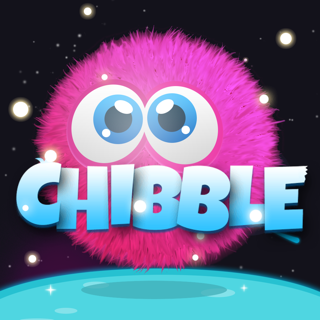 Try to make many huge combos to trigger the fever time and get an outstanding score! PLEASE NOTE! "Coco the Fish!" is free to play, however some game items can also be purchased for real money. If you do not want to use this feature, please set up password protection for purchases in the settings of your Google Play Store app. © Donuts Bangkok Co., Ltd.